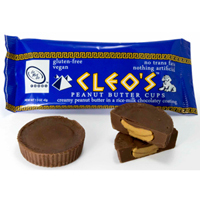 This bite-size, organic peanut butter and chocolate candy bar is delish! Another classic flavor combo done right by OCHO. Try them all!